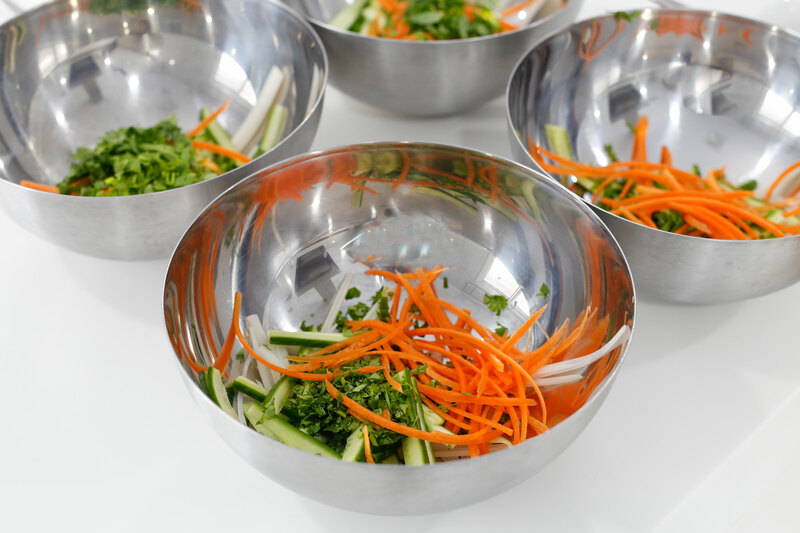 I spent about three hours at a Vietnamese cooking class with Lily Hoa Nguyen a couple of weeks ago, and as it turns out, that’s a great way to spend a Friday morning, especially now that summer is here! We each got our own work station fully equipped with all the utensils and ingredients needed to make our three course lunch. 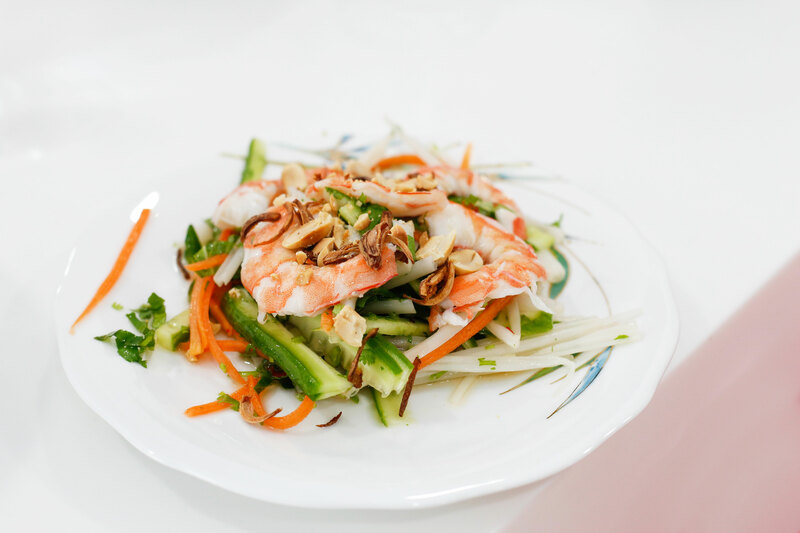 First on the menu was lotus root, cucumber, carrot and shrimp salad with a super easy dressing! They tasted super delicious – even if I may say so myself! 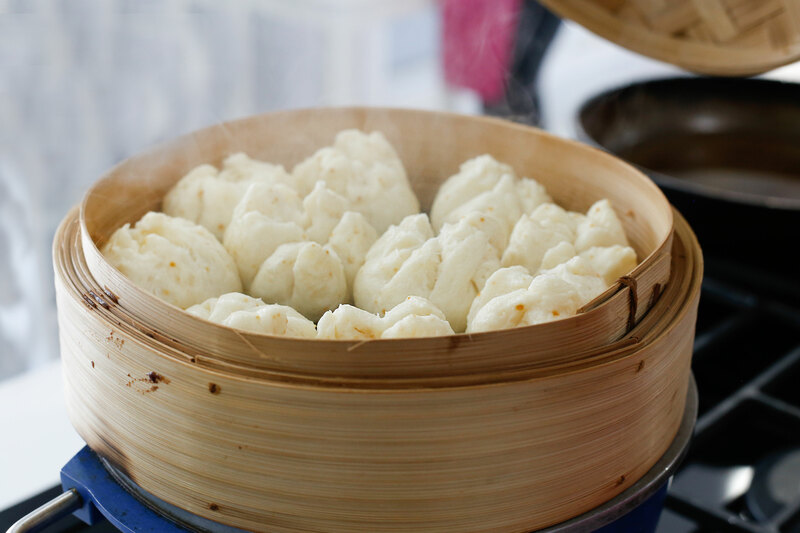 Banh Bao (Vietnamese Steamed Bun) translates to “cakes that wrap something” in Vietnamese. The dough is made of flour, milk, sugar and a hint of oil. 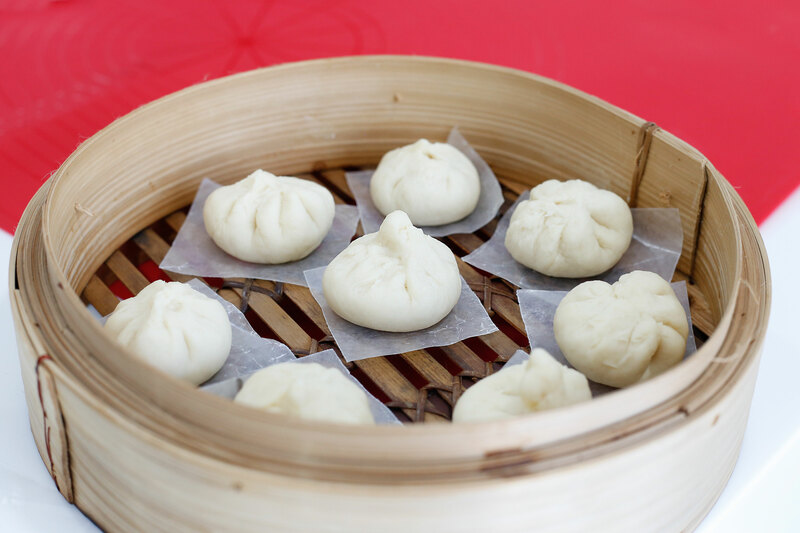 You can eat these plain along with your main dish, like we did, or stuff them with your choice of meat or vegetable. It was quite thrilling to watch our work turn out so successfully! I was beginning to feel like I had cooked this delicate cuisine all my life! 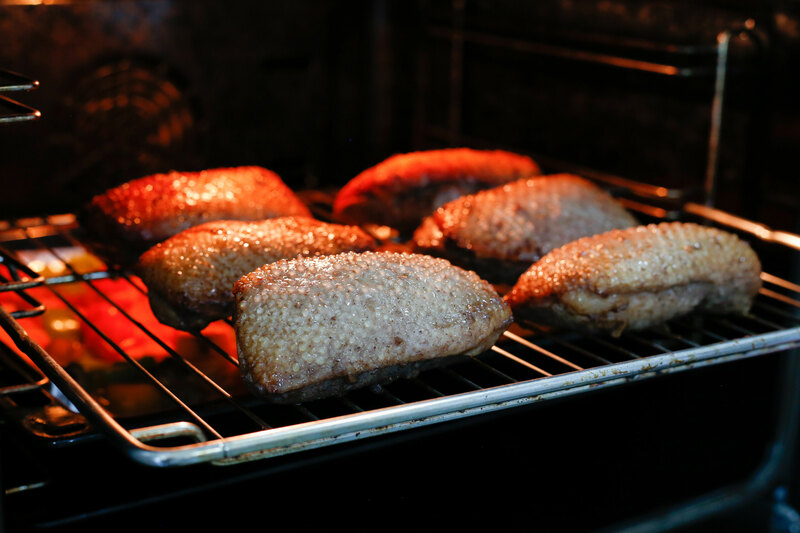 I’ve always found duck quite an intimidating meat to cook! It needs to be watched over really carefully. A little over and the meat becomes unappetizing, even unappealing. However, Lily took away a little bit of that fear. Granted it is still quite a process to prepare and she had done a lot of the prep-work but the final dish did not seem too hard to achieve! I like my meat medium-rare and this was done exactly to my liking! 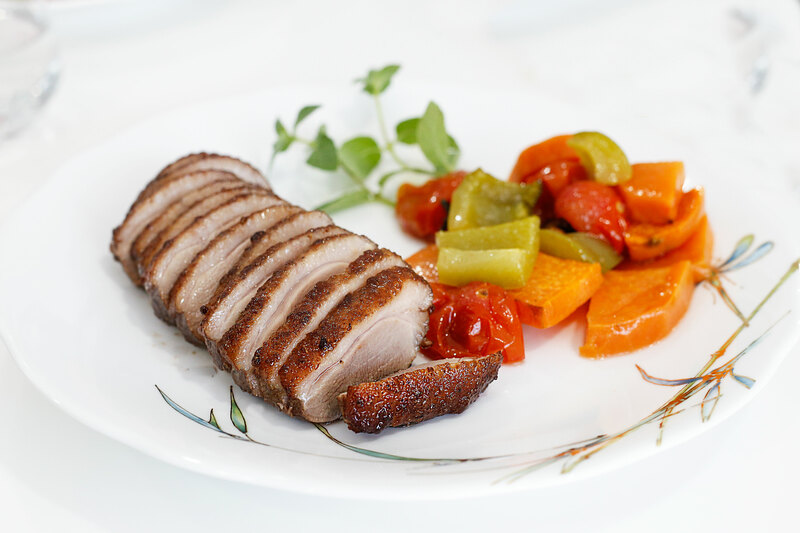 The honey barbecue duck was crisp on the outside and wonderfully moist and juicy on the inside. Quite surprising given the amount of time it spent cooking in the oven! The real test will be when I try this at home on my own sometime! 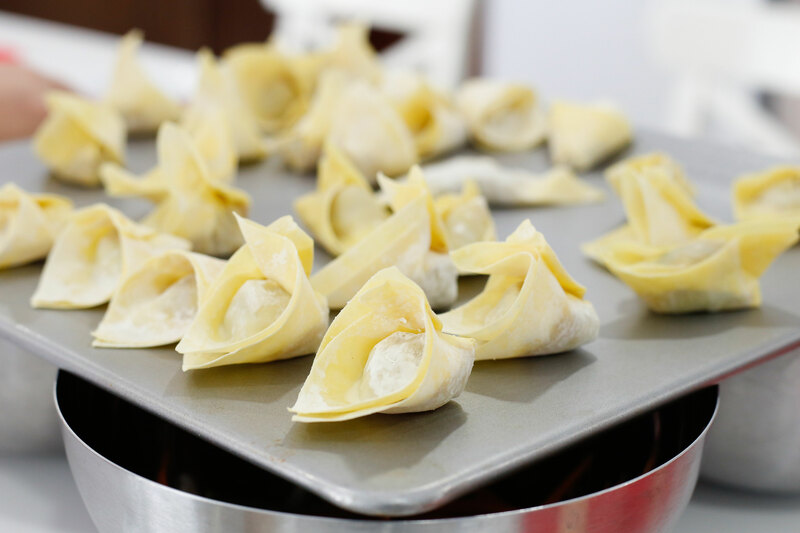 Born and raised in South Vietnam to a North Vietnamese family, Lily was exposed early on to a diverse culinary culture in Ho Chi Minh City where major cuisines meet: Chinese, French, Japanese & American among others. Her curiosity often led her to food exploration and whatever delicious dishes she tasted, she tried to replicate them at home to the enjoyment of her mother and three sisters. So used was Lily to delicious homemade Vietnamese food hat she was seriously let down when she left home and moved to Paris after getting married and then later on to Istanbul. 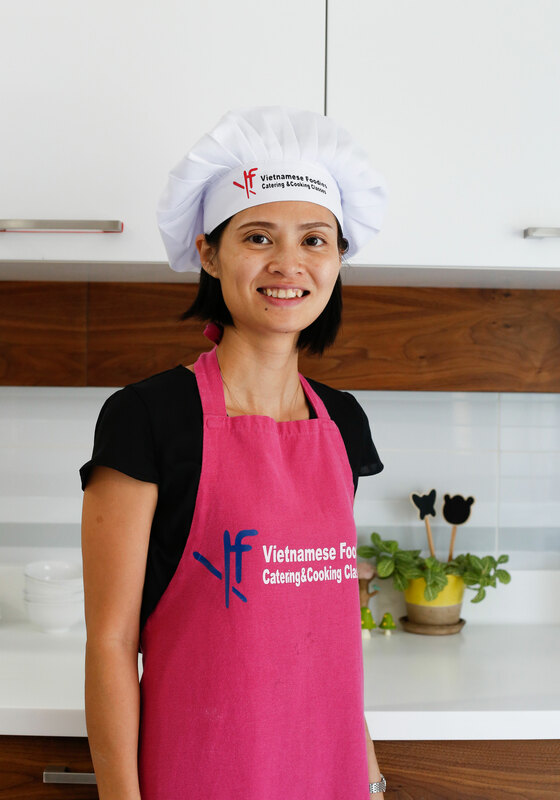 This inspired her to teach Vietnamese cuisine abroad and to use local ingredients to produce authentic flavours and taste. 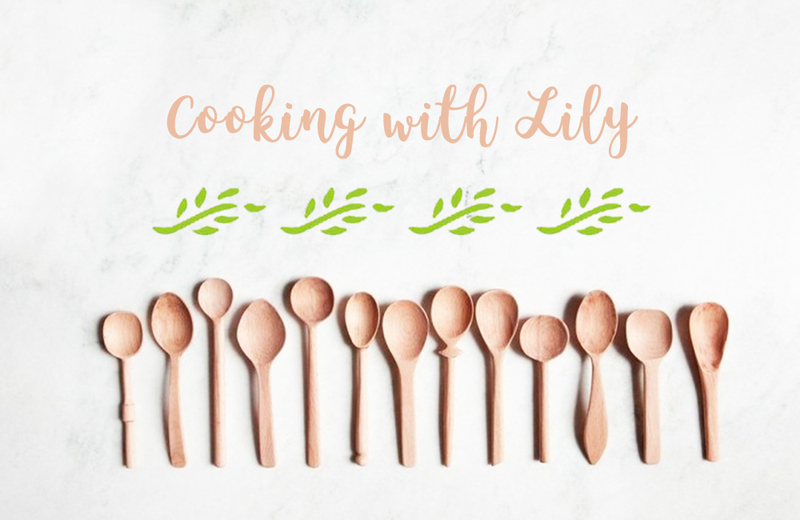 Since 2014, Lily’s classes – whether at the Miele Gallery in Istanbul or her own kitchen in Dubai such as the one today – are very popular and her dishes delicious and easily cooked at home. Always use fresh and properly stored ingredients. Vietnamese cuisines favor light cooking focusing on natural flavors. Fresh herbs when used the right way highlight the natural flavors of fish & meat so always have a few bunches of coriander, sweet basil & spring onions on hand. Homemade broth is healthy, cheap and easy to make. Have a selection of fish, chicken or beef broth and store them in cubes to use as sauce thickener or soup base. 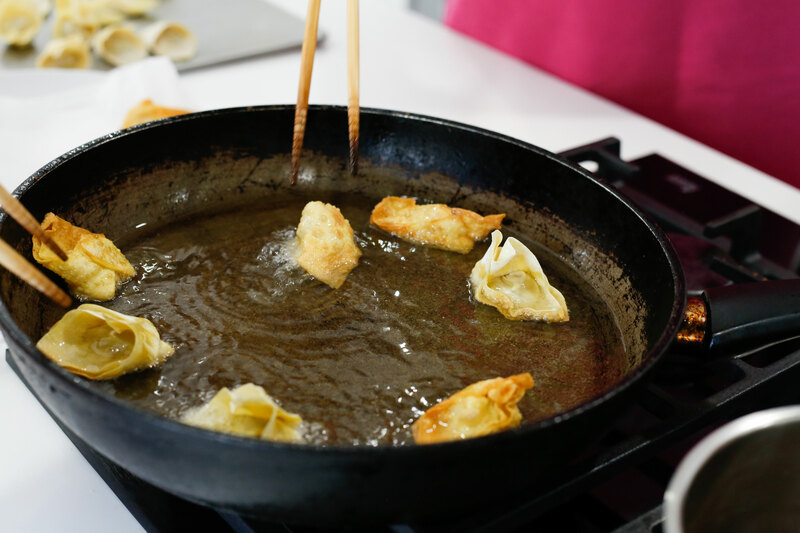 Five key ingredients you should have in your pantry – fish sauce, oyster sauce, soya sauce, shallots and chilli pepper. 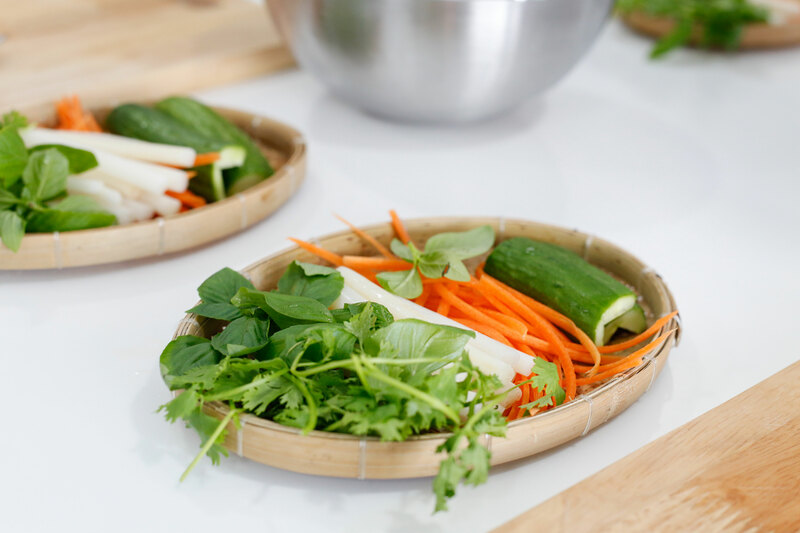 Vietnamese cuisine is all about balance. Avoid excessive use of any particular flavor. The right combination of sweet, salty, spicy and sour makes all the difference. Best food in the world. My wife Lily Hoa is the best top chef all over the world!